Once there are two names, Apple and Samsung, in the smartphone and tablet market, the technical competition will never stop. While Apple's iPad Mini is still at the peak of wave, Samsung announced a new kid on the block, Samsung Galaxy Note 8.0/9, stacking up against the crowned 7.9-inch iPad. No matter winning or losing in this table battle, Samsung Galaxy Note, boasting an 8-inch 1280x800 TFT display, will provide us with brand-new experience especially for watching videos on it. At the mention of watching video, YouTube video would certainly come to our mind first. However, watching YouTube videos online may not go as you expect considering the squirmy internet speed and the unstable internet connection. Worse still, the downloaded YouTube video is always in the format of FLV, incompatible with Samsung Galaxy Note 8/Note 9. How to save YouTube video to Samsung Galaxy Note 8.0/Note 9for unlimited watching? Don't be panic. Downloading YouTube video to Samsung Galaxy Note 8.0/Note 9 would be a piece of cake once you own a reliable YouTube video grabber. Here, MacX Video Converter Pro could help you out. As a top-notch YouTube to Samsung Galaxy Note 8.0/Note 9 converter, this program, perfectly integrating video converter and YouTube downloader, can save YouTube video to Samsung Galaxy Note 8/9 supported video format like MP4 and H.264 with utmost quality in a few minutes, letting you watch YouTube video on this new gadget without any concerns. Besides, this YouTube video converter is also good at converting a wide range of videos like MKV, M2TS, AVCHD, MOD, TOD, MTS, AVI, MPEG, F4V, Google TV, etc to Samsung Galaxy Note 8.0 so that you can play any kind of videos on this Android tablet as you like. This YouTube downloader for Samsung Galaxy Note 8.0/Note 9 is especially designed for Mac users. 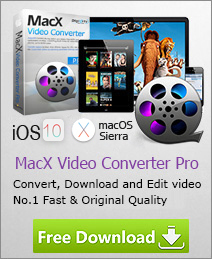 For Windows users, you can download MacX HD Video Converter Pro for Windows. Click "YouTube" button, copy and paste the YouTube video URL to the type box. Then click "OK" to capture the YouTube videos offline. Since you want to transfer video from YouTube Samsung Galaxy Note 8.0/Note 9, choose "to Android" under "to Mobile" channel as output format. The professional presetting profiles for output video and mobile devices make video conversion as easy as 1-2-3, so you don't have to select the video resolution, audio quality, etc for your portable device. After finishing the steps above, you can start to convert YouTube to Samsung Galaxy Note 8.0 or Galaxy Note 9 on Mac by clicking the "Start" button. You could view the conversion progress and are able to cancel the converting process at anytime. Notes: In addition, this app also supports converting both SD and HD videos to the latest handheld devices, such video to iPhone, iPad, HTC, Nokia, Surface, etc, making video enjoyment free from limitation. Still having trouble in video conversion? Why not download this program and have a try? I believe your entertainment life will become richer and more colorful than ever before. If you have downloaded some YouTube videos or audios to Mac and want to extract MP3 from YouTube video, then this tutorial will show you how to convert Youtube to MP3 on Mac with a powerful free YouTube to MP3 converter. Finding the best free YouTube downloader is not an easy task. Here a top free YouTube video downloader is introduced to you to download any video from YouTube to Mac for free, so that you can either watch YouTube video on Mac or simply enjoy YouTube video on iPhone iPad offline. This article shares you the simplest way to download and play YouTube videos on Surface tablet. With MacX Video Converter Pro, you can easily download and transfer videos from YouTube to Surface tablet without any hassle.